Albany, US, 2019-Mar-25 — /EPR Network/ —This research study added to the broad database of Market Research Hub (MRH) focusing on the Medical Imaging Information Systems-Medical Devices Pipeline Assessment, 2019 delivers an in-depth outlook to present information about executive summary and key performance indicators. Furthermore, readers can gather knowledge about the economic status, demographics and competitive landscape which is prevailing in the concerned industry during the review period, 2019. Overall, the purpose of this assessment is to present a clear picture highlighting the transformations expected to occur in the Medical Imaging Information Systems driven by major trends and opportunities. 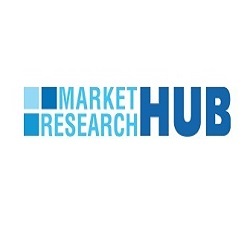 GlobalData’s Medical Devices sector report, Medical Imaging Information Systems – Medical Devices Pipeline Assessment, 2019″ provides an overview of Medical Imaging Information Systems currently in pipeline stage.